Kansas assistant coach Kurtis Townsend walks around the court during a shoot around on Wednesday, March 20, 2019, at Vivint Smart Home Arena in Salt Lake City, Utah. Teams practiced and gave interviews to media members before Thursday's opening round games. The Journal-World asked about possible suspensions after Louisiana State University suspended its head men’s basketball coach earlier this month after he was caught on tape making comments that were similar in nature to those made by Townsend. The recordings showed both coaches to be involved in discussions involving inducements to get recruits to sign at their respective schools. Girod, who spoke to the Journal-World briefly before the Kansas Board of Regents meeting on Wednesday in Topeka, said the university was working with the NCAA as it investigated the KU program for its part in a college basketball corruption trial in October that found three men guilty of fraud. Girod said a KU investigation and possible action would not begin until the NCAA investigation had concluded. 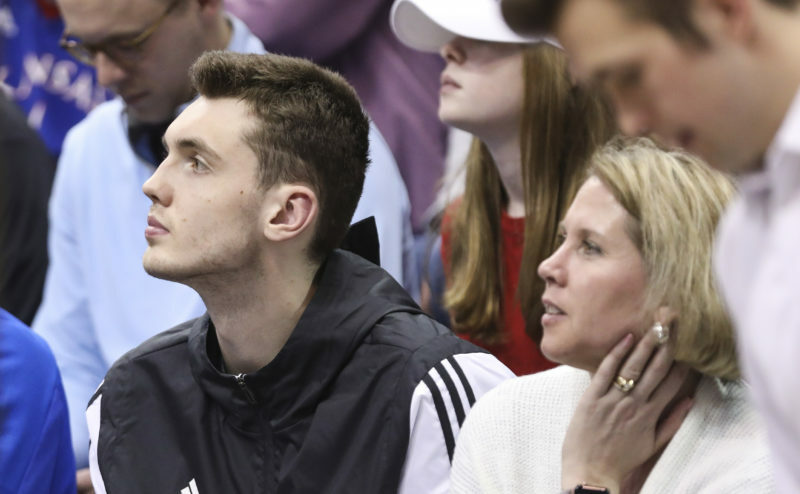 “We’re still cooperating with the NCAA on that, and they are coming back to conduct that part of the investigation, but we’re on their timeline for that, at their request,” he said. It is not clear why LSU would be able to suspend its coach while an investigation is underway but the NCAA would ask KU to not take any such action. It also is unclear how the NCAA actually made a request of KU to hold off on an internal investigation. 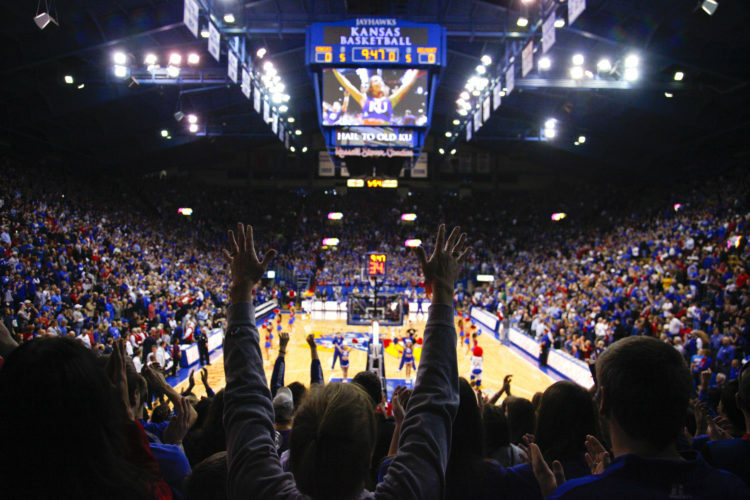 Girod previously has said KU was in “stand-down” mode on the matter at the request of the NCAA. 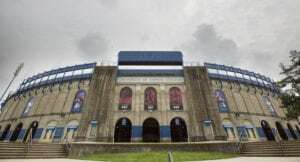 However, the Journal-World in December filed a Kansas Open Records request seeking any records that directed KU to refrain from launching its own investigation. The university responded that neither the university nor the athletic department had any such records from the NCAA. LSU suspended head men’s basketball coach Will Wade after the LSU chancellor said it was necessary to do so in order to “protect the integrity” of the university. LSU athletic department spokesman Michael Bonnette said the suspension came after Wade would not speak with the LSU athletic department or cooperate with the NCAA once the wiretaps were revealed. Recently, Wade was subpoenaed to testify in federal court about his involvement in the scandal, according to a Yahoo Sports report. Wiretaps obtained by the FBI reveal Wade discussing an “offer” he made to a recruit for a commitment to attend LSU. While Wade has not been charged in the case, LSU indefinitely suspended him from coaching the team, which is in the midst of one of its most successful seasons. The university said Wade would be suspended until it could confirm the program did not commit any NCAA violations, according to the report. 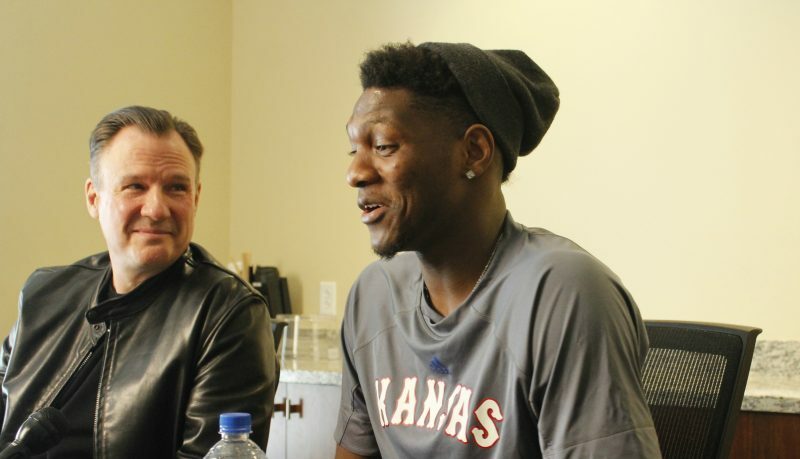 While Wade’s comments about offers to a recruit sound similar to Townsend’s conversations with Merl Code, an amateur basketball league director who was recently sentenced to six months in prison for a fraud conviction related to the scandal, KU has not suspended Townsend. Whether the “opportunities” were for Williamson or a family member is not clear. 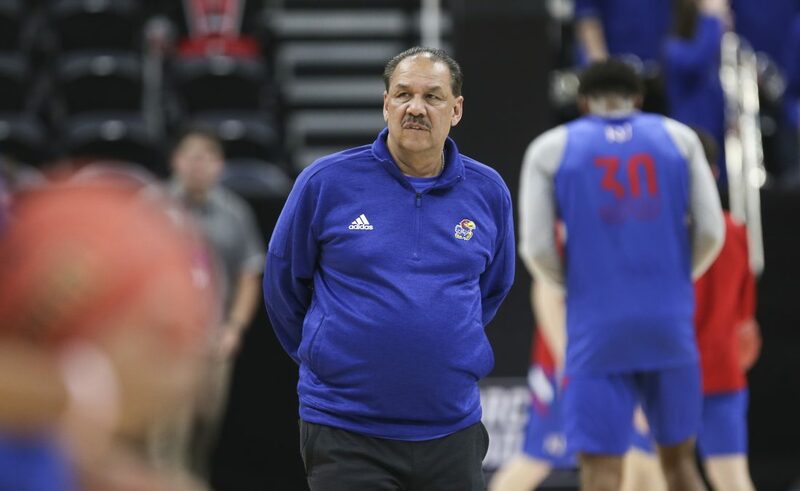 When asked if he considered suspending any KU coaches, Girod said Wednesday that he had not considered it because the NCAA wanted KU to hold off on taking action until the organization finished its investigation. But Girod said he was confident that Townsend was not expressing an openness to committing a violation to recruit Williamson in the wiretapped phone call. Girod did not elaborate on why he was confident Townsend’s comments weren’t an expression of willingness to commit an NCAA violation. Girod did not directly respond to a question of whether he had spoken to Townsend about his comments. Rather Girod simply said that the university was cooperating with the NCAA. Although Girod said he didn’t have any concerns with the basketball program’s recruiting practices at the moment, he said the university “needs to do the work” to confirm that violations have not occurred. Dennis Mullin, chairman of the Board of Regents, said he was not worried about one of the Regents institutions being caught up in the corruption case. He said that he thought the universities’ compliance offices were working hard to protect their programs from illicit activities and that he wasn’t sure how they could possibly stop activities that were happening outside of the universities’ purview, referring to Adidas consultants paying players’ families. 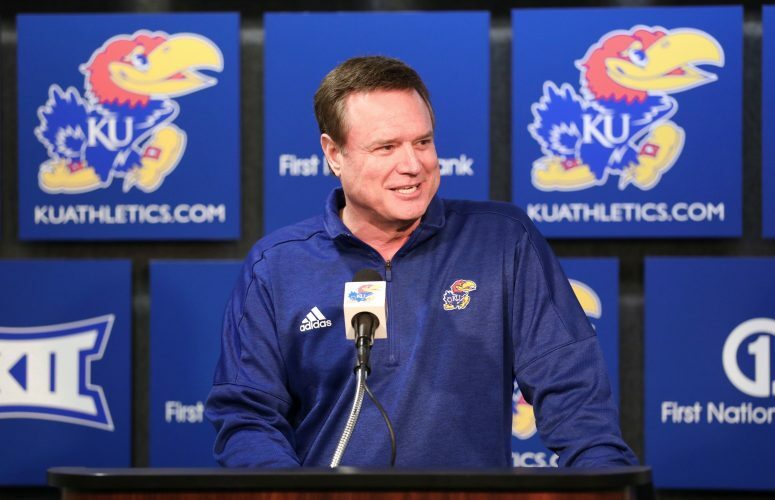 He said he didn’t believe any KU coaches had been revealed to be part of any wrongdoing. “If I had a coach involved, that would be a whole different story, but that doesn’t seem to be the case,” Mullin said. 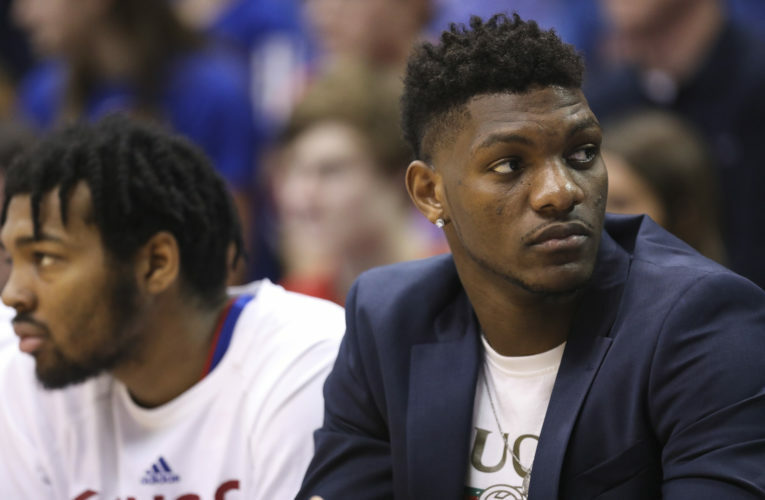 Additionally, Mullin said he thought it was unfair that the NCAA suspended KU’s Silvio De Sousa from participating in games until the 2020-21 season just because the court proceedings revealed that his guardian, Fenny Falmagne, accepted $2,500 to send him to KU.